How to deal with your child’s social challenges. Oftentimes parents don’t want to bring up the social difficulties they see their kids having, because they are afraid of making them feel bad. Another reason parents give me is that they don’t want to draw the attention of others by bringing it up. I hear this fairly regularly during consultations, and my response to them is always the same. You need to own it for your child. If not, then your child will think you are ashamed of who he (or she) is. If your child thinks you are ashamed, then he will feel ashamed too. Typically this isn’t something that the parents have thought about, and it hits them like a ton of bricks. Obviously no one wants their child to think that they are ashamed of who they are. That is the exact opposite reason that parents avoid dealing with the challenges that their children are having. The reason parents avoid dealing with it, is to protect their children and keep them from feeling bad. So their hearts are in the right place. However, by not taking ownership of their children’s challenges, they are also making their children more vulnerable, by not helping them understand and overcome their social challenges. Whether we like it or not, other people will notice their challenges. While it would be nice if they would not point them out, it is naïve to think that they won’t. With that in mind, who do you think it will be better to hear it from? The peer who sees him as a target; or you, someone who loves him and always has his best interest at heart? Of course there is a right way and a wrong way to talk to your child about the difficulties he (or she) is having. Our goal as parents is not to criticize; it is to help them take ownership. That will mean different things to different kids depending on their personality and challenges. Some parents will be able to be direct, while others will need to take a more gentle approach. For example, if you have a fairly confident son who struggles socially and you can see some things he’s doing to repel friends, then you could explain some alternatives that would have helped him be more successful and led him to have had a more positive outcome. For kids who struggle socially, I recommend prepping them before every social event. Don’t be afraid to talk about social consequences. If a child is motivated to have friends, he should know that if he continues certain behaviors it is possible that other children will not want to be his friends. Of course these are only two basic strategies that should be tailored to your child’s specific needs and strengths. In some cases these two strategies may not be appropriate at all. If you don’t know exactly what your child’s challenges are, or if you don’t know exactly what he or she could do differently, then you probably shouldn’t say anything. All it will do is lead to poor self-esteem and fear. This is where an expert on social skills can come in handy. 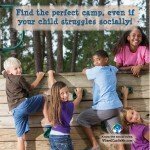 My social skills program helps a lot of different kinds of kids in a lot of different situations. 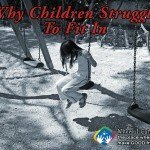 We know why kids are struggling socially, and we’re good at helping them to stop struggling. We can also help you talk to your kids constructively when something goes wrong. The parents I work with find this incredibly empowering because once they understand what is going on, and take ownership of it, they can start seeing their kids make real progress. It also tends to help their family’s relationships too, since they’re dealing with their child’s challenges as opposed to treating them like a big secret.